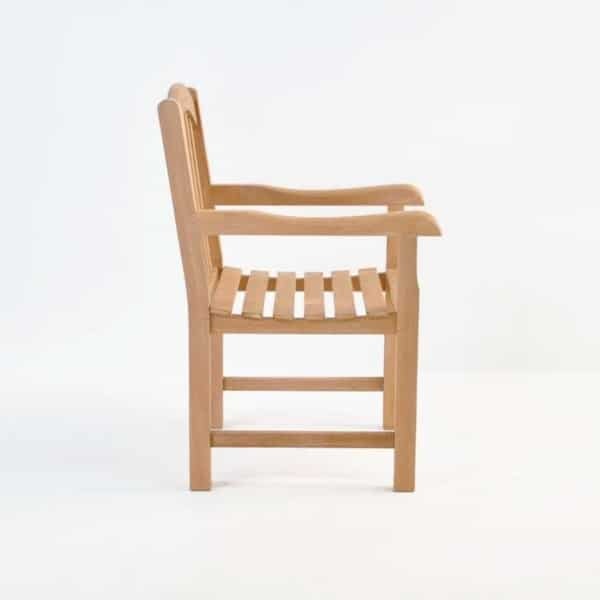 Timeless and comely; the Bowback range has been a go-to set since it landed at our warehouses. 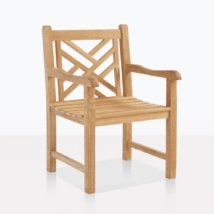 Showcasing a solid, chunky frame with an attractive curved, bowed back, with thick slatting running the length of the piece, the Bowback Arm Chair will bring a sense of the English country side, stability and elegance to your surroundings. 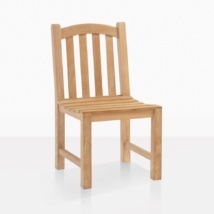 In addition to this solid teak dining chair, the Bowback range features a 2 and 3 Seater Bench as well as the Bowback Side Chair. 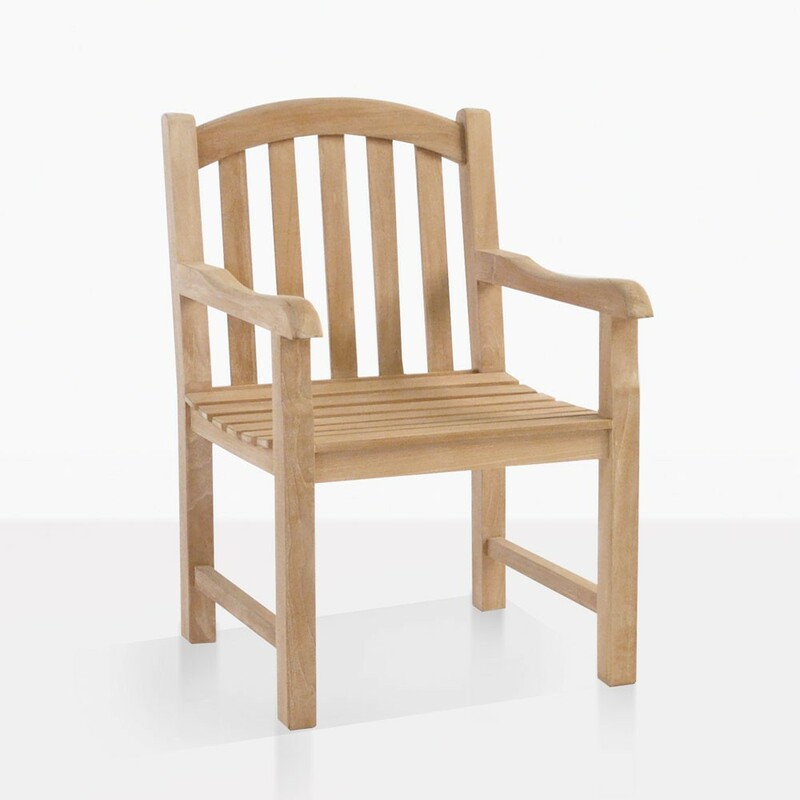 Pair up two of the Bowback Arm Chairs with the Bowback 2 or 3 Seater Benches for a charming garden setting, or place around one of our larger tables for a substantial, welcoming look. Try out the 63” Raw Concrete Square Dining Table with 8 Bowback Arm Chairs, culminating in a sturdy, welcoming and handsome setting where you will love hosting summer dinners! W24" x D25" x H37"
Purchase our 101” Hampton Table with 2 Bowback Arm Chairs and 8 corresponding Bowback Side Chairs for a really satisfying setting that you will relish spending hours upon hours in. 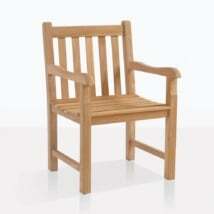 The Bowback Arm Chair is an ideal patio or porch chair. Purchase a pair of these teak dining chairs along with a Round Teak Picnic Table; splendidly suitable for a comforting drink after a long days work. Our Teak is A-Grade, full of natural oils, meaning a quality product with a long lifespan. The Bowback Arm Chair is stock and available now! If you have any questions or need some more ideas for different collaborations; get in touch! At Teak Warehouse, our sales associates are in store 7 days a week, happy to help you find the perfect outdoor design to suit your style and your space.